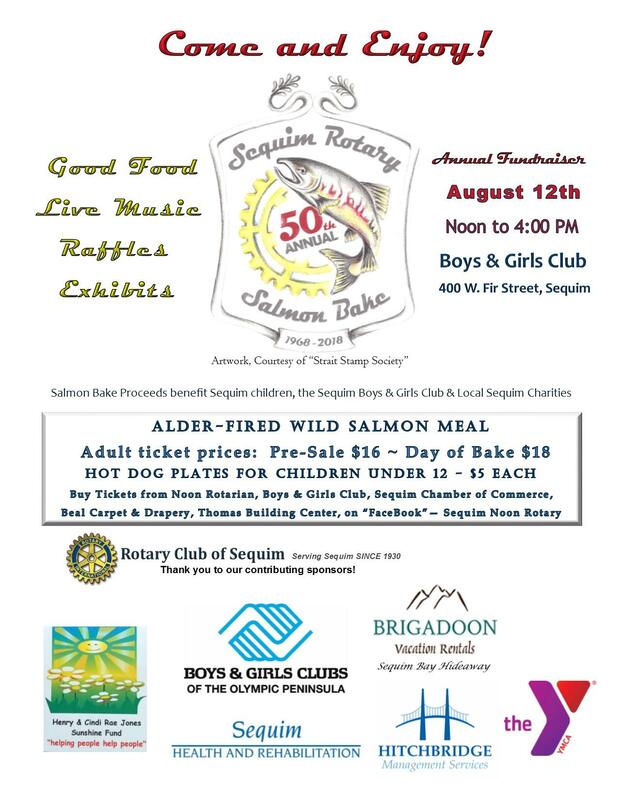 It is our Golden Anniversary, the 50th annual Rotary Club of Sequim Salmon Bake. Sunday, August 12, 2018 at the Boys & Girls Club of Clallam County, 400 West Fir Street in Sequim. For more info or to purchase tickets please call President Bob at 360-683-8981 and leave a message. He will return your call! See you there!